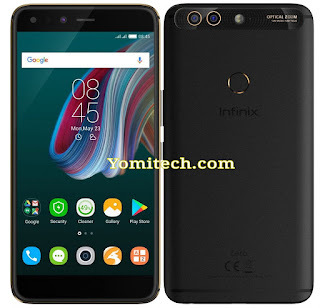 After the whole anticipation, leaked images and rumoured specs, infinix has finally launched their much awaited infinix zero 5. The device is available in two different variants which is the regular zero 5 and the zero 5 pro. The Infinix Zero 5 features a 5.98-inch full-HD 2.5D curved glass display with Corning Gorilla Glass 3 protection. It is powered by a MediaTek Helio P25 octa-core processor with a clock speed of 2.6GHz and 6GB of RAM. The infinx Zero 5 and the zero 5 pro features the same specifications except for the different internal storage. While the Zero 5 has a 64GB internal storage, the zero 5 pro has double which is 128GB and both of them comes with an SD card slot which supports up to 128GB microSD card. The device comes with dual rear cameras with primary 12-megapixel Sony IMX386 sensor, f/2.0 aperture, and dual LED Flash as well as a secondary 13-megapixel camera with telephoto lens, f/2.6 aperture, and 2x optical zoom. It also features a 16-megapixel camera with LED flash. The device runs on android 7 Nougat OS out of the box and ask features a dual SIM standby setup, rear fingerprint scanner, microSD card slot, USB type C connector and a 4300Mah battery. The 64GB Zero 4 variant is expected to sell for $275 while the 128GB Zero 5 Pro will cost $306.